Researchers at the French National Institute for Agricultural Research (Inra) and their partners have done animal studies on the consequences of having a certain group of microbiota bacteria and a common food contaminant, deoxynivalenol (DON), present in the gut simultaneously. They show that the presence of this mycotoxin enhances the genotoxicity of the bacteria, i.e. it increases the number of DNA strand breaks in intestinal cells, a phenomenon that can lead to the emergence of malignant cells. This work raises the question of synergy between food contaminants and the intestinal microbiota with respect to the process of colorectal carcinogenesis. 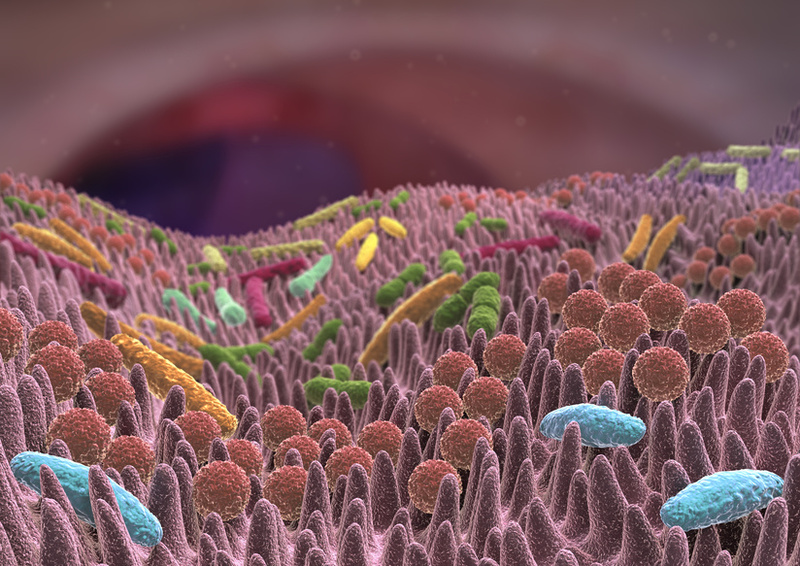 The gut microbiota in humans contains some 100,000 billion highly diverse bacteria. One species, Escherichia coli, is very common, and contains different groups. E. coli group B2 bacteria produce a genotoxic substance, i.e. a product that damages the DNA of intestinal cells, known as colibactin. An increase has been noted in the number of group B2 bacteria in the gut microbiota of populations from industrialised countries. Mycotoxins are the most common natural contaminants present in human and animal food. One of these, deoxynivalenol (DON), is produced by moulds from the Fusarium family, which mainly develop in cereals. The human populations in Europe and North America are widely exposed to it in their food. In France and Europe, exposure of some fractions of the population, especially children, exceeds the toxicity reference values for this toxin. The Inra researchers and their partners conducted in vitro and in vivo animal studies to see what happened when colibactin-producing Escherichia coli and DON were simultaneously present in the gut. 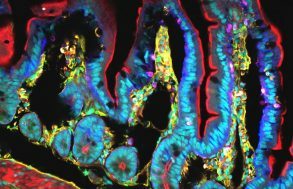 In animals colonised with colibactin-producing bacteria and exposed to DON in their food, the DNA damage to intestinal cells was significantly greater, compared with animals not producing colibactin. They thus show that the presence of the mycotoxin enhances the genotoxicity of group B2 E. coli. These first results provide new data regarding possible synergy between food contaminants and the gut microbiota. 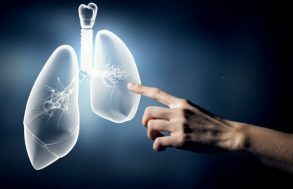 The researchers will continue to work to elucidate the mechanism involved in this enhanced genotoxicity in the presence of DON, and studies are planned to extend the observations up to an advanced stage of colorectal carcinogenesis. Payros D, Dobrindt U, Martin P, Secher T, Bracarense APFL, Boury M, Laffitte J, Pinton P, Oswald E, Oswald IP. 2017. The food contaminant deoxynivalenol exacerbates the genotoxicity of gut microbiota. mBio 8:e00007-17. https://doi.org/10.1128/mBio.00007-17.